Albany, New York - Ronald McDonald House Charities of the Capital Region is making history by heading down technology lane and becoming the first local charity in Upstate New York to accept Bitcoin donations. They will partner with Bitcoin processing giant BitPay to handle their transactions, and the NY Bitcoin Group will help them get started. "We are very excited to have our local Ronald McDonald House be the first chapter in the United States to start accepting a digital currency for donations. Bitcoin gives us the ability to send a nickel, a dime, or any other denomination, without the charity getting charged a fee, as they would using with other payment networks," said Paul Paterakis, a member of the NY Bitcoin Group. Elizabeth Ploshay of BitPay added, "In other words, through BitPay, they get 100% of the donation, as they would with cash, but unlike with cash, they can now receive donations from anywhere in the world, instantly. 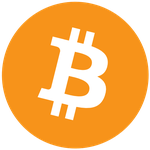 "Â BitPay is the lead global Bitcoin payment processor making donation functionality possible. Currently, a few other charitable organizations in the United States and around the world accept Bitcoin, including the United Way and Greenpeace USA.Paterakis said, "This will go down as a historic moment for Ronald McDonald House in Albany. People can be afraid to be the first when it comes to change, but sometimes the first to act are the most rewarded. I believe that will be the case here. The Bitcoin community is generous and I personally plan on matching up to $500 in Bitcoin donations to show my support. Any time I have a quarter or two sitting in my digital wallet, I'll send it over." ABOUT THE COMPANIESNY Bitcoin Group (www.nybitcoingroup.com) was founded in June 2014 by Bitcoin enthusiasts from different industry sectors. Their goal is to promote Bitcoin and educate businesses within the Capital Region on setting up Bitcoin as a form of payment. BitPay (www.bitpay.com) is the largest global Bitcoin payment service provider headquartered in Atlanta, Georgia. BitPay provides payment processing services for more than 40,000 businesses and processed over $100 million USD worth of Bitcoin transactions in 2013. In 2014, BitPay started processing $1 million USD daily.